This week, the European Commission will release its assessment of the global climate agreement struck in Paris in December. Extracts that have been leaked are shockingly, disgracefully bad, writes Brook Riley. Brook Riley is a climate justice and energy campaigner at Friends of the Earth Europe. The EU led the celebrations in Paris and heralded the agreement as one to save us from climate change. But now the Commission is using the deal to lock in catastrophically inadequate action. The draft communication claims the EU’s target of 40% emissions cuts by 2030 is in line with science and the Paris agreement. It says a revision of EU climate action in light of new science and of the wish to limit temperature increases to 1.5°C would only take place as part of a 2023 global assessment. And it says that even then an increase in ambition would only apply to the post-2030 period. “The EU has set an ambitious economy-wide domestic target of at least 40% greenhouse gas emission reduction for 2030. […] The Paris Agreement vindicates the EU’s approach. Perhaps most galling is the wording that “Paris vindicates the EU’s approach”. The Commission authors are using Paris to justify the current 40% emissions target, when in fact by sticking with the current target they are undoing the agreement. This is about as manipulative as you can get. And of course it will discourage the global action we know is essential to begin to deliver on the promises of the Paris deal. European Commission progressives say it is too late to change the text, but that they didn’t intend to rule out a revision of the 2030 target. I wish I could believe this. But it’s no secret that senior officials in the Commission’s climate department don’t want a higher target because (among other reasons) they think it will antagonise Poland. It’s a horribly defeatist attitude and it’s frighteningly dismissive of climate science. The EU’s 80-95% by 2050 emissions target comes from the 2007 IPCC (Intergovernmental Panel on Climate Change) report. And 40% is on a pathway to the low end of that long-term target. But when you look at the IPCC tables, you see 80-95% was actually consistent with a 2-2.4°C temperature increase. So there’s simply no way the Commission can claim 40% is in line with the Paris agreement for “well below 2°C”, far less 1.5°C. Of course, this is the sort of numbers-heavy argument we all know doesn’t make it into a press release. So the Commission thinks it can get away with it. As I write, it is looking like the publication of the assessment may be postponed. It was scheduled for today (Wednesday 2 March) but now may coincide with the Environment Council on Friday (4 March). This makes sense in a cynical sort of way. It would give the Commission cover and allow it to claim they released their communication with member state support. As a matter of fact, that’s probably our best hope. 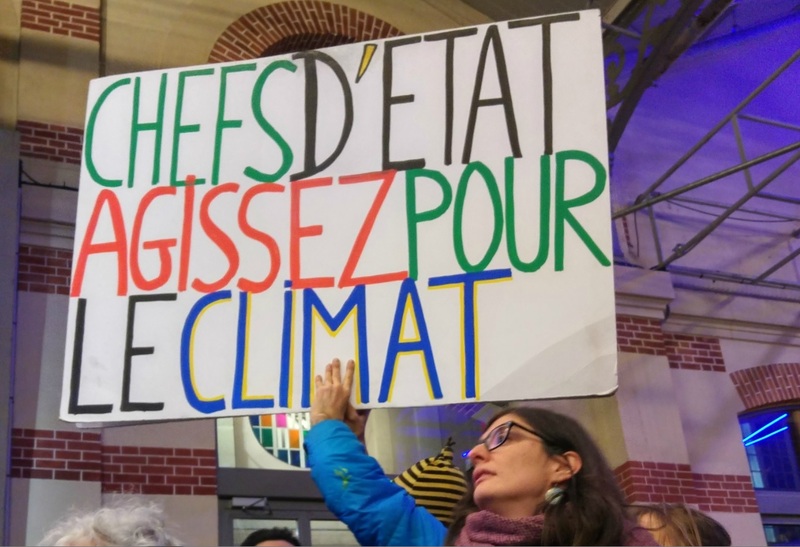 Governments may want to lobby the executive to improve the text, if only so that the blame for undermining Paris doesn’t land on their shoulders. All this, and it’s still not a hundred days since the agreement was triumphantly celebrated. As for the 2C target – I know for a fact that people in Finland are demonstrating in favour of this – 1.5C would be unfair on them. Also Mr Riley does not take into account the difficult conditions under which the ECers work – faced with wobbly rotten poles, bouncing cheques and mad smelly english kippers, life is hard in the EC – when faced with these extra-human challenges. As for EC progressives, text changes & not upsetting the poles, one assumes by this he means the current ruling PIS Pole party, a friend to dogs everywhere – how could they possibly get upset? – by anything? Also, I happen to think that Paris does vindicate the EU approach of… “lets pretend… climate change is not as serious as it seems”. Indeed, I have it on good authority (from my regular drinking partner Jean-Claude – he always gets talkative on the 3rd bottle of Mouton Rothschild) – that the new EU motto on climate change is “frying tonight” – as he said to me “Miksh, don’shaysh a wordsh” – “my lipsh are sealdsh” says I – so nuff said – nothing horribly defeatist in this – simply a recognition of reality – that indeed those at the very top don’t…. give… a…. stuff. So all this idealistic nonsense from Mr Riley & his open toed sandal brigade mates should stop. We need to face realities, the reality of ……frying tonight coming to a continent near you…. real real soon.